Pikmin 3, after a lengthy development period, is now beginning to grace Wii U systems around the world, and is clearly a source of great pride for Shigeru Miyamoto. The famous Nintendo designer has described it as the "ultimate version of Pikmin 1", and to date it's received substantial critical praise, including a score of 9 in our own Pikmin 3 review. It's an important game for the Wii U in various ways, perhaps not as a substantial system-seller on its own, but as a reassurance of how the system can blend the best of the GameCube and Wii with further enhancements, and represents the arrival of a game that was on many launch day wishlists in November 2012. It's late, but as the potential start of the Wii U's potential relaunch into a sustained period of growth, it's a fitting entry. Pikmin is an interesting series, as it's one of Nintendo's freshest IPs — due to having just three standalone games — and a unique part of the company's library. To celebrate the arrival of the third entry in the franchise, we thought we'd take a short look at its history to date, including its many cameos that have developed it as a much-loved brand. There are a variety of different ways for us to create videogames. Sometimes from the very outset we have some clear-cut goals towards which we start working. On the other hand we have cases when we don't have any kind of clear-cut image as to what kind of game it will eventually be but rather we have a very vague image of whatever we would like to establish or realise. In the case of Pikmin 1 our original idea was how it would be nice if we would be able to see a bunch of small creatures doing something. Something like, they are protecting their own village and at the same time they are trying to grow and expand that village. Later on we added the feature so that the player character will be there. But at the beginning I thought that it wouldn't be interesting enough because in that original development mode the Pikmin were used as if [they were] weapons. To be utilised, to be shot by the player themselves. In this respect it was a fresh idea from Nintendo, moving into the real-time strategy genre to utilise the power available on the GameCube. Its late 2001 arrival in North America made it an early game on the system, and it impressed with lush environments and the imagery of dozens of Pikmin moving through the environment. In an interesting design choice, that Miyamoto would later describe as "a little bit too strict and confining", the player was given just 30 days to complete their task of recovering ship parts to return Captain Olimar to his home planet. 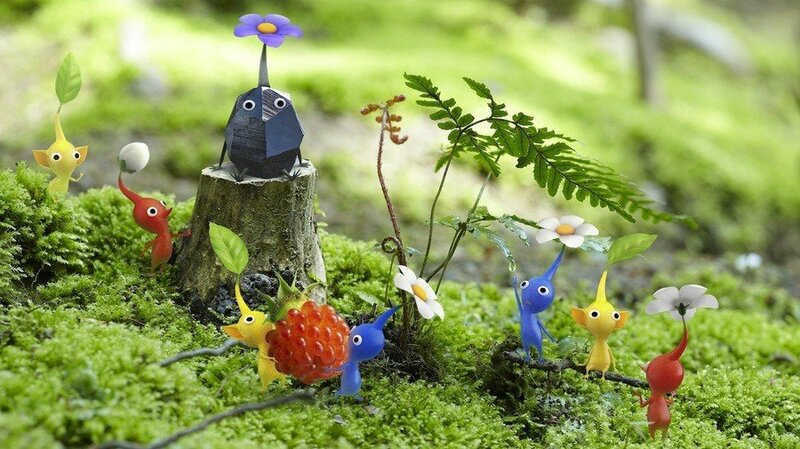 While he was the protagonist in the story, it was perhaps the Pikmin themselves, with their endearing appearance and charming soundbites, that had the most impact. In terms of commercial success, the title performed reasonably but not brilliantly, not helped by being on a platform that would ultimately struggle to around 22 million sales, below the Nintendo 64 and just over a fifth of the sales its successor (Wii) would achieve. The first game's worldwide sales of a little under 1.2 million sales were, in that context, thoroughly respectable. Interestingly, sales in Japan were helped along to some degree by a song titled Ai no Uta, which appeared in commercials for the game; it achieved top 10 music chart positions for several weeks in Nintendo's homeland. It was clear that Shigeru Miyamoto and the Nintendo management were confident in the Pikmin brand, as a sequel was produced and released just under three years after the original, again on the GameCube. It removed the 30-day limit, featured a storyline about Captain Olimar attempting to salvage his business by retrieving treasure — scrap materials to the gamer's eyes — from the Pikmin planet, and included a second intrepid explorer. It was not only possible to switch to Louie during the single player campaign, but Nintendo also introduced local co-op and competitive multiplayer options, which were to return on the Wii U in different forms. These tweaks to the gameplay, along with what some perceived to be improved AI and visuals, contributed to another strong critical reaction. Unfortunately sales were lower than its predecessor, with some also commenting that it was a tough title to find in the West. By this stage the DS was preparing to take over the portable world, while the struggles of the GameCube against the relentless selling power of the PlayStation 2 perhaps influenced Nintendo's efforts in marketing and distribution. While fans of the first two games were vocal and enthusiastic in wanting more of the franchise, the years that followed would be restricted to cameos and re-releases, a scenario undoubtedly frustrating as the Wii Remote's capabilities became clear for all to see. After the analogue stick controls on the GameCube, the pointer controls on the Wii seemed perfect for the franchise that had, in its first few years, seemed destined to become a regular in the Nintendo lineup. A few years passed after Pikmin 2, however, with little but the occasional hint and suggestion for fans to feast upon. 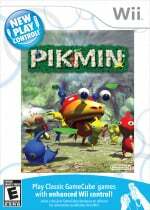 Before and during E3 2008 (three and a half years after the last release) various interviews and comments confirmed that a new Pikmin was in development, but subsequent presentations passed with no sign of what was assumed would be a Wii title. What we had instead were the first two titles re-released as part of the "New Play" series, which brought GameCube titles to the Wii with Remote / Nunchuk support and some other minor tweaks and improvements. In Europe both entries arrived within a few months of each other in early 2009, while North America received the first in March 2009 but had to wait over three years for the sequel as part of the Nintendo Selects range. While some units were sold, the re-releases unsurprisingly didn't hit the same levels of the GameCube originals. For fans of the originals they may have been disappointing in place of a new game, but it was typical of Nintendo's approach to encourage newcomers to experience more of its franchises. Outside of the re-releases, the series did enjoy some cameo appearance to further cement its place in the Nintendo "family" of IPs. The Pikmin made an appearance in Mario Golf: Toadstool Tour if you landed the ball in flowers, while mini-games in WarioWare Smooth Moves and WarioWare: D.I.Y also featured the creatures. Perhaps most notably Captain Olimar was a playable character in Super Smash Bros. Brawl, with his usefulness very much reliant on having Pikmin on hand to assist; system or data transfers on the 3DS also feature the little creatures diligently carrying blocks of data to their new destinations. It's become clear, particularly in interviews over the past year, that the Pikmin franchise and its latest entry are of notable importance to Shigeru Miyamoto; he's rarely missed the opportunity to carry a Pikmin plushie to events, or to talk about Pikmin 3. The third entry had been off the radar for a couple of years when it was confirmed as a Wii U project in 2011, but it was the game's debut appearance at E3 2012 that finally confirmed to anxious fans that it was actually approaching release, rather than simply being an invisible project in development. Naturally it missed its original target of the already lengthy "launch window", but after years of waiting that seemed almost standard practice. Yet the franchise has already been rather visible on Nintendo's latest home console. Those that have completed the Wii to Wii U system transfer process will have enjoyed some rather adorable animations featuring the little critters (even more so than the 3DS equivalent), while the excellent Pikmin Adventure in Nintendo Land is a terrific co-op game, in particular. For anyone unfamiliar with the franchise that owns a Wii U, there are good odds that they've seen the little Pikmin in action, and they've become the lead attraction ahead of their original leader — the announced characters for Super Smash Bros. on Wii U and 3DS include "Pikmin & Olimar". With Pikmin 3 now hitting stores, Nintendo's been fairly active in its marketing, while this new entry introduces three new explorers and new Pikmin types, with pink flying Pikmin and tough little Rock Pikmin fleshing out the puzzles and challenges in the experience. Critical acclaim has once again followed, while the Japanese release has accounted for 121,233 physical retail sales (at the time of writing) after two weeks on the market, with eShop purchases as yet unannounced. We've also seen Wii U eShop promotions accompanying the new title in the West, offering discounts and credit to those that opt for the download versions. The concensus so far, in many reviews and initial word of mouth, bodes well for the new release, with plenty of praise going the game's way. Incorporating elements found in both predecessors, and utilising both the Wii Remote and GamePad, it's certainly a major effort to bring the franchise to a new audience in the HD age. So will Pikmin return in the future? In part it'll depend on the sales of Pikmin 3, of course, as Nintendo is ultimately a business seeking to maximise resources for the most profit. If it were a decision left to Shigeru Miyamoto's sentiment, however, then we'd expect it to become a prominent series. Pikmin has been particularly visible in recent years outside of its own dedicated games, so it's clear that the brand is a part of Nintendo's plans and identity for the current generation and those to come. What the future brings will be interesting to see, but for now we should perhaps just enjoy the arrival of Pikmin 3, which has been nine years in the making. Nice feature! 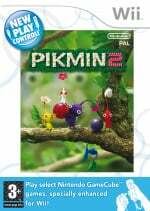 I've only played the Pikmin 2 rerelease for the Wii, and I'm trying to hunt down the New Play Control version of Pikmin 1 before I get to Pikmin 3. It's somewhat difficult to find now. 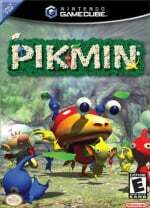 Does anybody think I'd find Pikmin 1... limited having played it after Pikmin 2? From what I know, you don't find treasure, there's a time limit, and only three types of Pikmin. 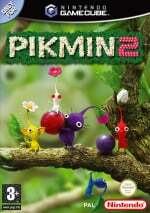 I like the exploration aspect of Pikmin 2, so would Pikmin 1 bother me? It's hard to believe that I finally will get to play Pikmin 3 after so long! I found this site looking for more info on it. @Torchwood Well, I did play Pikmin 2 before Pikmin 1. It still is a great game, but it feels a lot shorter if you're used to Pikmin 2. I'd say you should still try it out though. I personally preferred 2 to the first one, the mechanics are sound but I hate being rushed through a game. Pikmin 1 will always — always — be one of my favorite games. As much as Pikmin 2 tried to build onto the formula, I thought the first game was just a perfect, enclosed little experience that its bigger sequel couldn't match. Dying to finally play Pikmin 3. Even if it stinks — which I truly doubt — it'll be nice to revisit the series. @Pikminsi Thanks. I found it for $12.99 at Best Buy used when you ship to a store, so I'll go for it! Used copies start at $40 on amazon and eBay and stuff. Yeesh! But I think for the price, you can't go wrong. Looking forward to it, and will hopefully buy Pikmin 3 once I finish 1 and 2! Pikmin is my second favorite video game series ever (only Smash Bros. gets more love), so the long-awaited arrival of the third entry has me very excited indeed. Can't wait to try out Pikmin for the first time! Pikmin 3 will be my first adventure into this gorgeous world. The multiplayer mode in this looks awesome too! Part of me wants to be worried about the game's sales, especially seeing as the Wii U has a paltry install base. But then I think about the fact that this digital age is beginning. Before, if you wanted a game that was five years old you'd have to go out and look for it or get a copy online. Now with the eShop, Nintendo could just randomly give a game a push with ads and a sale any number of years down the line, and all the newer adopters will start seeing videos and stuff for it as though it's a new game, and if they like what they see they can download it on the spot. It means that games are going to have longevity like never before. And hopefully that means that games like this will continue to sell throughout the life of the system. I'd taken for granted how visible these little guys have been throughout the years, even without a proper sequel... most notably being found in the system update/transfer screens. I love how Nintendo treats their characters as part of their plans even outside of full games: I'm thinking of the Game&Watch and ExciteBike modes in 3DS Sound, and how the franchises make cameos in WarioWare, etc. A good way to stoke the memories of long-time gamers. Pikmin 3 is so good, btw. I think I'll pick up the re-makes on Wii. Pikmin 1 I thought was great, but have to admit, I like exploring and experimenting the first time I play through the game and the time limit was a negative for me. Pikmin3 is a great game, I'm slowly plodding my way through exploring and experimenting and playing the game as I want to. After going through story mode once thats when I'll try to finish the story quicker, playing it more akin to the original where its all about being time efficient. I can't imagine there would be a new Pikmin game (meaning 4) on the WiiU. It took 9 years for this and 3 for 2. Though it just dawned on me that we will probably see a new Pikmin game in 2 or 3 years on a handheld. (You can play Kirby Mass Attack to see how a 2D Pikmin side-scroller will work. ) No new home console version though. Nintendo really does seem to like 1 game per generation. Looking forward to this 1, 1 more week. I like Pikmin 2 too, it was Pikminy and all, but removing the time limit simply resulted in a much more bland gameplay. With it, it also removed the fantastically strategic chaos that consisted mainly of completing as much tasks as possible in a day WHILE growing as many (flower) Pikmin as you could (and saving Pikmin from creatures, and having the Pikmin carry a whole lot of carcasses and pellets, AND constantly adjusting how many Pikmin should be out of their onions so that you could grow stronger Pikmin out in the field rather than having the leafy ones piling up inside the onions). That's what Pikmin is all about for me. Doing things in a more relaxed manner did NOT, in my view, ruin the game(play) at all, since you had a lot of days. In my first attempt, I think I completed the game in 21-23 days, so I still had a lot of days to make up for any losses I may have made. But, as it is known, it's possible to complete the game in only a couple of days. So, I don't think it was very much necessary to remove the time limit completely. But that's okay, Pikmin 2 was also great, but I didn't really care for the deep dungeons. The fact, though, that the new "special" Pikmin were difficult to accumulate was real fun. Anyway, I now NEED a Wii U! Such an awesome series. It would be great to see it have more success (maybe its exposure in Nintendo Land will have helped convert a few people). Though I hope Pikmin 3 is more like the original than the sequel, as I'm one of the few people who didn't think Pikmin 2 was better than 1, mainly because I thought all those underground dungeon-esque levels were quite boring and repetitive (not to mention rather dank and depressing-looking compared to the beautiful overworld) and clearly a contrived way to stretch out the game's length to placate those who said the original was too short. This was a great write-up. This site is now my go to place for all things Nintendo. I'm still a big supporter of IGN.com but their Nintendo news has been seriously lacking lately. Anyways, I can’t wait to get this on 8/4/13. I think this will be my first retail download too! My first time seeing Pikmin was the AR cards that was bundled with my 3DS. I definitely hope there are more in the series to come. I know it's a niche series, at least at this point, and I worry that the third one won't be as profitable as Nintendo hopes (despite looking awesome), so I think it's possible this will be our last Pikmin game (at least for this decade), but I sincerely hope we get more Pikmin love. A 3DS iteration would be amazing! Pikmin 1 was fun because of the 30 day calendar. Pikmin 2 was fun to go for 100% of the items. I'm hoping Pikmin 3 surprises me in some way and really shows me some new things, but even if it doesn't, i'll enjoy it. Why, NintendoLife, why must you keep taunting me? Release day can't come soon enough! Pikmin 2 will always be my choice over the first two, I absolutely loved the innovative dungeons (submerged castle especially), the many real items that made a cameo amazed me, and I sort of made a sentimental connection to them, everything about Pikmin 2's existing gameplay felt improved, the challenge was dramatically increased as it makes up for the challenge of the original's time limit. I really, really hope Pikmin 3 isn't dumbed down like Sticker Star and Dark Moon, as I have high hopes for 3. But why did the spaceship crash in the first place at the start of Pikmin 3? Never touched pikmin but you know what this may be the year ! I did enjoy the re-release of Pikmin 2 for the Wii, so I will likely get Pikmin 3 when I do get a Wii U. Only thing that concerns me is length, but if it is highly replayable that won't bother me. I adore this series and really appreciate that Nintendo hasn't been churning them out. I can still remember the impact Pikmin had on me back in 2002 – absolutely one of my favourite gaming memories. And Pikmin 3 is a total delight so far (I'm on Day 14) with charm, challenge and actual level design! In this day and age! Definitely worth buying a Wii U for. I've got the first two for Wii, and plan to buy the new one. My play schedule is weird, and I don't play a lot during the day, so I've only played the first. I haven't gotten terribly far into it, as I find it quite challenging. I don't remember exactly what area I last played, but I think my ship was on a shore and there was something near the ship that was really well protected. I don't really remember, but I may try to start over before 3 is released in the US. @DerpSandwich No doubt. It's interesting to see the group of franchises Nintendo utilizes evolve over time. While extremely painful to see a franchise like F-Zero become past history, it's exciting to see new ones come into the fold, such as Pikmin. But like you said, with the digital age potentially providing longevity for franchises that might have otherwise been overlooked or forgotten, hopefully there won't be too many more IPs that fall by the wayside. 1) I never played two and havent finished one. Reason for that is the time limit. I alsways have the fealing "will it work in the end or will my eforts be in vain because i dont have enough time" Also, it seems that im the only one but...its freaking hard O.o Somehow, i dont seem to get how to combat sliightly larger monsters without loosing hundrets of pikmin while there are people out there doing "No damage" runs...that threw me a bit off. But nevertheless, im going to get it sooner or later. Pikmin is one of these franchises that i never could get into but at the same time, im always drawn back to. 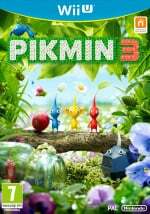 Info- If like me you brought and redeemed an eCode from GAMe before Pikmin3 was released on eStore you will not recieve any Premium Reward Points. I phoned Nintendo Customer Support have not recieved my Premium Points despit getting the game on Wednesday via a eCode sent early from Game and the response was To earn Premium Reward Points a Purchase has to be made direct from the eStore or an eCode has to be redeemed once a a title is available on eStore. It also leaves a question mark if those of use who redeemed a Pikmin3 eCode early will still qualify for the Wonderfull 101 promo. I must admit, i hate games with time limits! I did finish 1, but 2 was more my taste. The only game with a time limit that i really liked was loz mm. I own the first two Pikmin games and have already pre-ordered the third one, but I still haven't played any of them. I hope I can change that soon! Just got Pikmin 3 and I am loving it so far. The controls are so smooth and the game looks and plays amazing I highly recommend it. It is my first ever Pikmin game but today I found Pikmin 2 for 5 euro so i am looking forward to playing that after I complete Pikmin 3. I hope you end up picking the game. I completed both and I prefer the second one, although those dungeon caves were sometimes demanding. A tip I used for saving Pikmin was to use Olimar himself to fight or at least weaken some monsters, as his punch packs quite a wallop. You can still get hurt that way, of course, but in a game like Pikmin 2 where time is not a concern, I did it all the time. And congrats on you finally getting an avatar here in NintendoLife! I would be tempted to get the digital version so I don't have to wait for it to arrive in the mail (may take ten or so days) and my 32 GB would still handle it fine. But I also prefer physical. Even something as simple as when to decide to register my games on Club Nintendo is easier to do with discs. Another thing I love to do is to take the disc to a friend's house so he can play it and then I take it home afterwards, so he gets to try it but he will still have to buy it if he is interested. I have never played Pikmin. I think the time has come. This game wouldn't be the same without the amazing GamePad, playing this makes me so happy I bought a Wii U! I've been waiting for the ultimate Pikmin game since Pikmin on Gamecube. Nintendo has my thanks bought both digital and physical copies. This is in my opinion the best strategy game I've ever played, I like the genre so played a lot. I didn't expect it to be this good even in my wildest dreams. Being able to pause, think of strategies, moves characters using the touchscreen/map while controlling another one. Multitasking has never been so much fun before! Not even talking about how beautiful the game is. Every little detail is Nintendo magic. Love this game so much. Yesterday I was at day 4 killing the first boss without losing any Pikmin...But I only had 5 seconds left to return to the ship. So today I battled him again with time left but 15! Pikmin died. My slight OCD self is telling me to restart the day and try again to finish the game without any deaths, but my sane self is saying screw that, you'll get more of them killed down the road so who cares. Anyone have any advice? Should I go for 0 deaths my first playthrough or just enjoy the ride and think about doing another playthrough sometime down the road to get everything faster and without deaths? Can't decide guys, thanks in advance! Great article guys, but you forgot to mention one of the things Pikmin is most famous for: Steve! Steve rose from the ashes to become the trooper he is today, and is worthy of the greatest respect. But seriously, I can't wait for Pikmin 3. I've been waiting over 9 1/2 years for it. great article, only makes it more exciting prior to experiencing it!